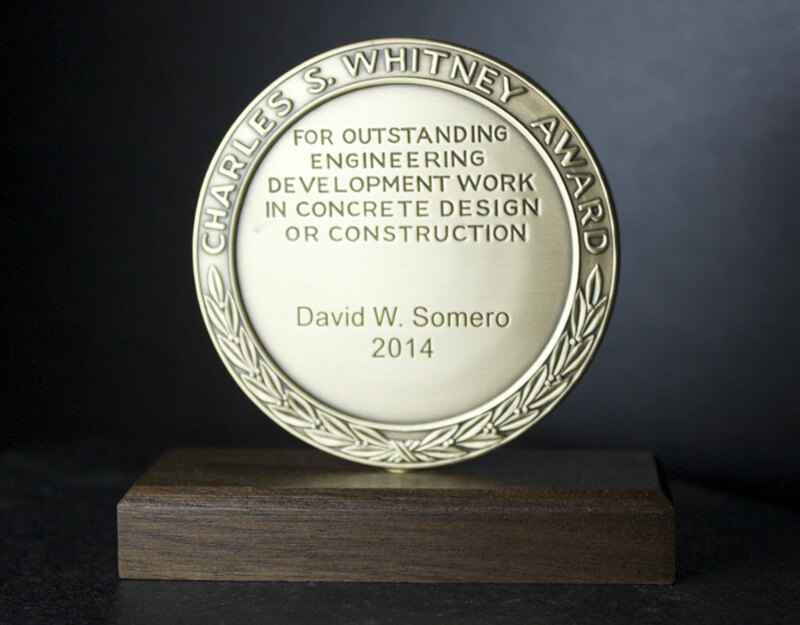 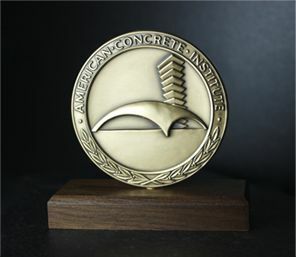 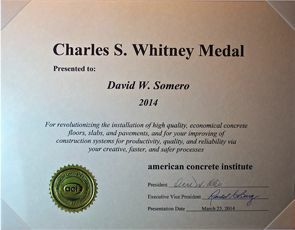 (April 2014 - New Ipswich, NH) David W. Somero, founder of S&S Concrete Floors, has been awarded the distinguished Charles S. Whitney Medal from the American Concrete Institute. 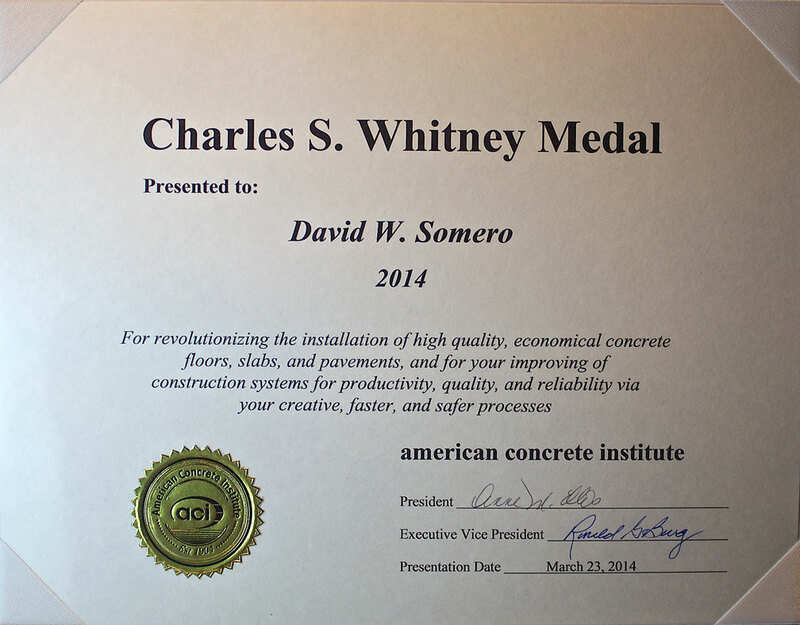 The award was presented to Mr. Somero on March 23, 2014 by representatives of ACI. 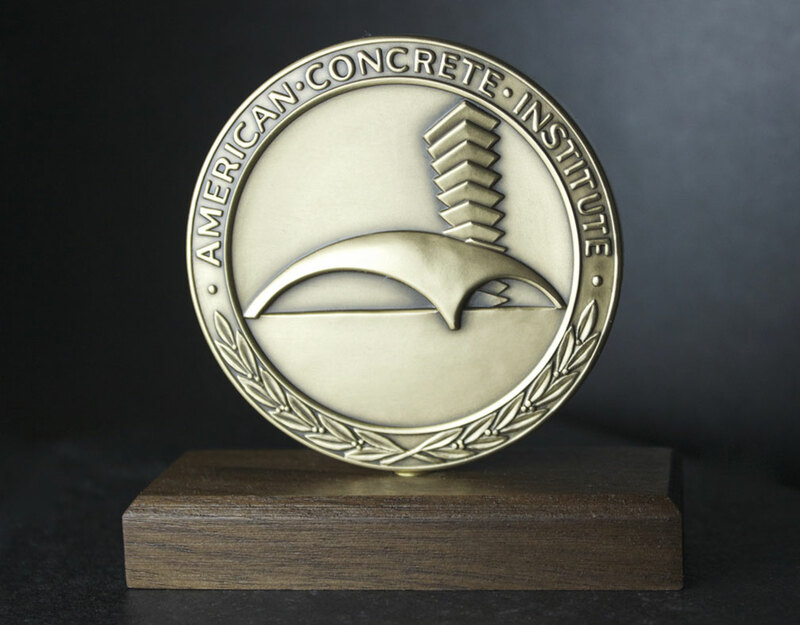 The certificate of achievement recognizes David "for revolutionizing the installation of high quality, economical concrete floors, slabs, and pavements, and for your improving construction systems for productivity, quality, and reliability via your creative, faster, and safer processes." 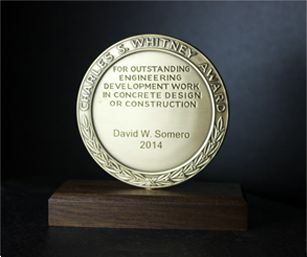 Click on the photos below for a larger view of the award and certificate.